The Bugaloos were a three piece female harmony band from the Netherland, featuring Lil’ Esther. 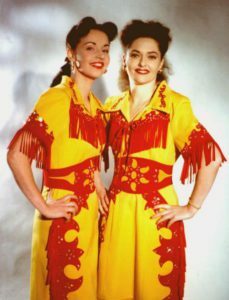 Their sound was a mix of “sisters” bands (Fontane, Davis, Dinning, Miller) as well as Nita, Rita and Ruby with a dash of Rockabilly à la Collins Kids thrown in for good measure. 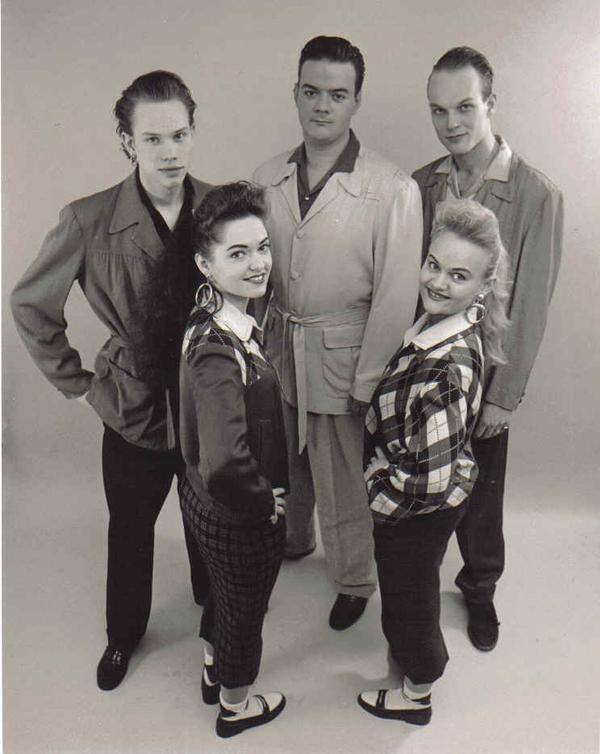 In the Mood is their second album and benefits of the presence of Jelle aka Joe Sixpack (who later joined the Ranch Girls and the Ragtime Wranglers) on guitar. 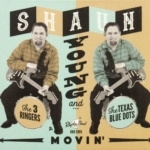 This guy is one the great masters of the Rockabilly guitar on the modern scene next to pickers like Deke Dickerson, TK Smith. 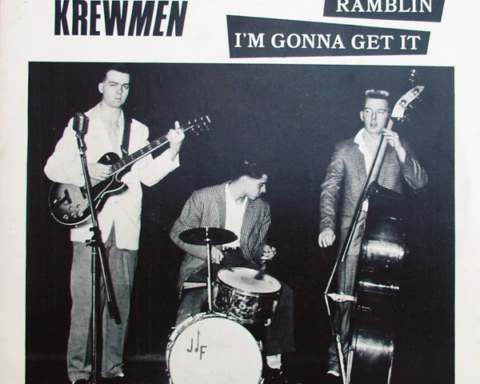 He brings rockabilly to their swing and swing to their rockabilly. All songs are covers but the band is good enough to always turn them into something new and interesting. Even an ear worm like In the Mood that makes me cringe even when played by Bob Wills is pleasant here. But how could you resist to the charm produced by the sweet voices of those three girls. 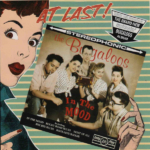 From Hillbilly bop with a hint of western swing to a sweet ballad with Rockabilly in between and a bit of jazz, you’ll sure enjoy this moment with the Bugaloos. After the Bugaloos disbanded Esther and Marga formed Jess’n’Jill & the Sinners before singing as a solo act. Read more about all that here. Another old interview I did a couple of years ago for Jumpin’ from 6 to 6, but there’s too many good informations in that one, and Esther is one of my favorite singer, that I ddn’t want it to be lost. What kind of music did you grow up with ? Was your family musically inclined? Lil Esther – Yes indeed there where! My grandfather was a bit of a famous guitarplayer here in Holland in the late 50s till the 80s. He was a brilliant schooled jazzguitarist, who played in all the fancy Theatres jazzclubs and other venues. He also aranged a lot of music for very know BEAT bands as the Golden earing(RADAR LOVE FAME) and indo rock female star Anneke Gronloh. When he became older he started to give guitarlessons. And when i was 17 I took some lessons too… His wife (my grandmother) played the violin in all kind of big orcherstras. My mother played steelguitar in a hawaian band. Her dad taught her to play it. My sister plays piano. And we start singing harmony the moment we could talk! How did you come to discover “roots music”? Lil Esther – Well, as I said I always liked the music my mother listening to a whole lot when I became older I became more interested and curious about the roots of this music and soon discovered it and decided to dig a litte deeper. When did you start to sing and when did you consider joining a band? Lil Esther – I started sing on a very young age.. Me and my sister must have been 6 or 7 years old when joinend a harmony-choir We did this for years! And we even recorded an album with Dutch folk songs on it ! Hahahaha at the age of 19 we considered the option to form a band. So we asked another friend (Marga) to join us. We met the other bandmembers at Local R.a.B clubs. Ed the drummer is married to my sister. We were influencend by 50s harmony vocals girl bands. Were you in other band before the Bugaloos? 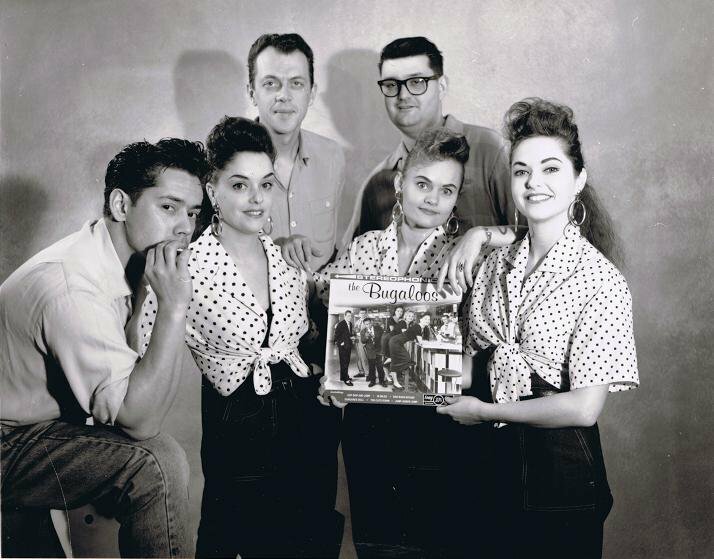 Maybe all of our readers don’t know The Bugaloos, can you tell us more about this band? The next band you’ve played with was “Jess’n’Jill And The Sinners”. A word about that. Did you release anything? Lil Esther – Aahh.. Jess and jill and the sinners. That was Peter and Tjarco from the Tinstars and Jan from the Chesstnuts(and later the barnstompers). And Marga from the Bugaloos, she was replaced by Diane. It was mostly straight r.a.b Harmony stuff but it was so much fun to do. We did some great gigs but Tjarco and Peter were to busy with the Tinstars at the time so the band just faded away you might say. It was in France I met Don cavalli he was on the same bill. Lil Esther – Yep! Jelle the Ranchgirl guitarist was in The Bugaloos. They asked me to join them and I did that for a year or so It was great fun! Miss mary ann is a dear friend of me. In those bands you were singing in harmony or duets, how and when did you think about going as a solo act? On the new album, that should be out real soon, Don Cavalli, Robert Williams/Big Sandy and John Lewis wrote songs for you. Tell us more about this collaboration. Lil Esther – Fabrice is a very good friend of me, he played with The Tinstars several times. He wrote a whole lot of songs for me. Same with Robert, he wrote me 2 songs a long time ago. We recorded them for Rarity but the Tinstar boys didnt Want to go back to the studio to finish them so the deal went sour. Big Sandy recorded them himself but a bit different. Then Empire stepped in so we started the whole recording process again. Both songs are on this new c.d “Love That Man” and “Confusin love” ( the original demo is fantastic!). I know John Lewis at least 20 years. The Bugaloos played with the Rimshots A WHOLE LOT! John also wrote the Liner notes he is a very dear friend. Lil Esther – Yes he did! 2 fantastic songs we are going to work on soon for an upcoming project. I am real proud he did, I like carl a whole lot! I like his voice very much. On the demo he plays guitar(lead and rhythm) and every Leyland’s fan would love to have/hear them!! Do you write songs too? Wasn’t that too hard to bring the Tinstars to the studio, as they’re not really known to be studio freaks? Lil Esther – Are you kidding me?? You know the TINSTARS right?? I had to beg… Blood sweat and tears it cost me! serious! But it was worth it. Hahaha I am very pleased with the end result and it seems they liked it as there are plans to go back in January to record the new Tinstar album. Lil Esther – Let’s see… Arnold from the Bluegrass Boogiemen is on mandolin. A friend of us Ronald Visser plays piano on some tracks. 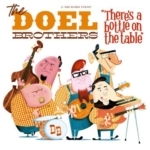 Fiddle is played by a fellow named Joost Van Es (plays with the Hillbilly Boogiemen sometimes) The harmonica is played by our steelguitarist (who plays a lot of instruments pretty good) and the harmony singer is Tinstar Rick. And I sang some harmony with my sister and myself!! What kind of stuff are you listenin’ right now? What is the last record you bought? 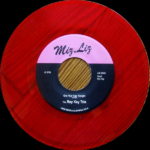 Lil Esther – I mostly listen to Kay starr at the moment. Various girl stuff. And the Carl Sonny Leyland songs of course! Oh! and the Starday recordings of Roger miller on Bear Family. Lil Esther – I’m very pleased that i could do this interview! And I am exited about my new c.d. And there are some good shows coming up. So things looks good for me. Coming from Holland, The Tinstars led by singer-guitarist Rick De Bruijn are now rocking the nation and more for almost 20 years. They rocked in Green Bay, bopped at Hemsby, turned Switzerland wild and stormed the Rockabilly Rave. By themselves or when they backed Lil Esther, Ronnie Dawson or Joe Clay to name but a few, they never failed to entertain! Rick was kind enough to answer some questions for us, thanks to him. How did you get hooked by the music bug and rock’n’roll in particular? 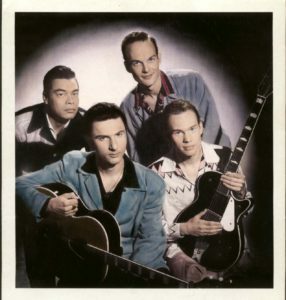 The Tinstars Well… Some of my older brothers already listened to this kind of music for a long time… The classic Vincent, Cochran, Elvis stuff. And of course the Tielman brothers and my mother had some Marty Robbins, Frankie Laine records as all mothers have and we had radio Caroline. They played this kinda music from day one. I was hooked at it on a very early age.Are the Tinstars your first venture in a band? 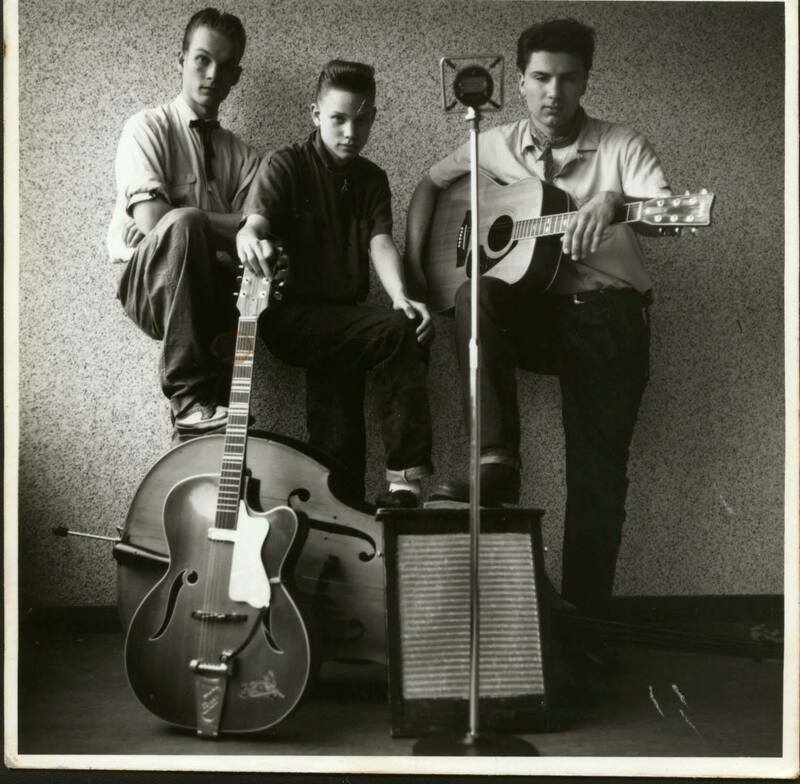 No before that I played bass in The Longhorn trio with my nephew Erik and Arnold from the Hillbilly Boogiemen. We even recorded 2 songs for an compilation record. When and how did the band start? The Tinstars Me, Tjarco and Peter started the band around 83 as The Tinstar trio you know : 2 guitars and a slap bass. What were your influences when you started? The Tinstars As my oldest brother is a huge record collector he quickly came up with this tapes with obscure rockabilly on it (White Label and Redita records stuff) which we start to cover giving it the Tinstar treatment. But I would say Joe Clay and Ronnie Self knocked me out and still do. And what are you listening today? The Tinstars Now I listen to a lot of country music. I always did but more often lately. Mainly Lefty frizzel who is my number one hero. The Tinstars We played with them on Hemsby… Strange guys! How did you get the name, by the way? The Tinstars It comes from the movie The Tinstar with Henry Fonda. It’s from 1956 or 57. And the director is the same as High Noon although we didn’t realise it then. When we needed a name i just saw the movie on television! 20 years AGO!! I liked the movie and the name… so… Tinstar trio and later we changed that to the Tinstars! The Tinstars Yay! The trumpet player! We had him to do all the Sonny burgess stuff. He was a roadie. We did that 15 years ago… Good fun! REDHEADED WOMAN…!! Hahaha means a lot more now then 15 years ago..
How did this changes influence your sound and the evolution of the band? 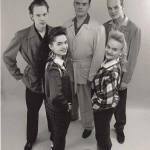 Netherlands had a very big rockin’ scene in the late 80’s with a lot of rockabilly, neo-rockabilly, psychobilly bands and labels. How is it today? The Tinstars Not as big but still very fanatic in a way I didn’t see it changed that much. I think it is similar to France you know? Not as big but sure still there!! 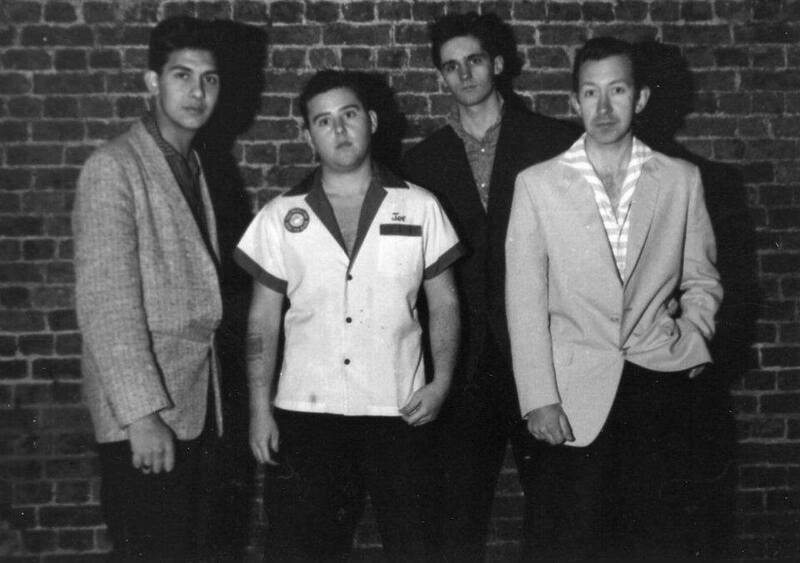 As the Tinstars, you sometime back rockabilly legends. How do you approach that? Do you play the songs note for note or do you try to bring the Tinstars’ touch? The Tinstars Man we sure did so many to name them, around 16 I guess… We always tried to lift them up to go wild the Tinstar way and we succeed doing it many a times! You should have seen us with Joe Clay!! We used 2 drummers, as on some of his recordings. We were supposed to back up Jimmy Wages but he passed away 3 weeks before the show..
Did you record with some of them? In the list of artists you backed, who thrilled you the most? The Tinstars I have to say Joe Clay and Rudy Grayzell. Great guys… We had a lot of fun with these two DUCKTAIL cats. I’ve seen a clip on youtube of The Tinstars playing with Rip Carson. He seems really wild on stage, is he easy to work with? The Tinstars Jeff (Rip) is a dear friend that we backed up about 10 times. A nice dude, talented boy, and fun to hang out with. If we can reach him that is hahaha. He is probably shaving his beard off. Do you have a particular artist you’d love to make a duet with or simply meet him? The Tinstars Yes..with (again) Don Cavalli. He is my dear buddy and he is the best… at least for me that is. We played with him and when this guy starts singing and strums his guitar. MAN! And I wouldn’t mind to hang out with Jerry Lee to have a drink with!! (or two). Tell us a bit about your records. 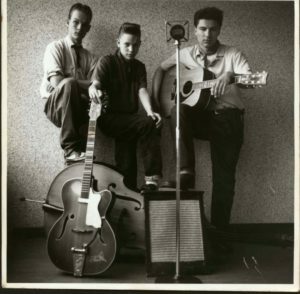 I know about an album out as the Tin Star Trio on Rockhouse now reissued on Rarity. Do you have any other recordings? Do you play on vintage equipment? The Tinstars I’am a collector of that stuff for a long time tube stuff, amps, recorders, mixers, mikes etc. Old instruments too but on stage we use the reissue stuff for the amplifiers. I packed it all up now, but going to use it in the near future for sure. The Tinstars To continue what we are doing I guess… and to concentrate on recording more. The Tinstars Thanks for talking to me Fred! I enjoyed it, I really did. Jess and Jill and the Sinners formed around 1993 after the Bugaloos went their separate ways. The first line-up was Esther van der Meer (aka Lil’ Esther) and Marja both from the Bugaloos on vocals with Jan van Leewen (ex Chessnuts) on drums, Peter Crowfield on double bass and Tjarko Jeen on guitar, both from the Tinstars. 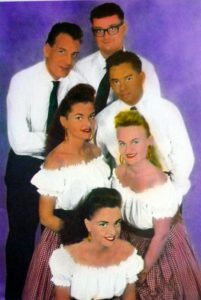 After a year with the band, Marga left and was replaced by Diane (now in Laverne and the Rhythm Kings) but the band split in 1996. 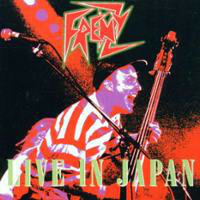 They played in Holland, of course, and Germany, Swiss, Belgium (where they backed Al Ferrier) and France. I don’t think they ever released anything (maybe a demo? ), if you have more infos, feel free to contact us. Jess and Jill first line-up, circa 1993.